Blink-182's California LP had two tweet-length joke songs that managed to cram plenty of pop-punk energy into their tiny runtimes. With the band gearing up to deliver the deluxe edition of the album, they've shared another goofy anthem. We've been excited to hear "Can't Get You More Pregnant" ever since we first heard about the song, and it does not disappoint. The track is a peppy, speedy pop-punk jam that brings us back to the band's skate-punk roots. It also includes some incredibly stupid words and, in its lyric video, some animated sperm. 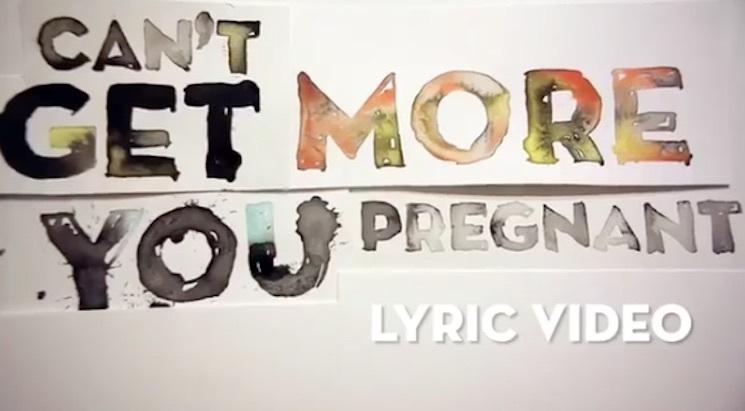 Watch the lyric video for "Can't Get You More Pregnant" below. The deluxe edition of California, which arrives on May 19 via BMG.